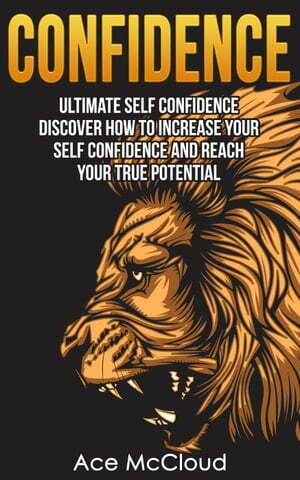 Collins Booksellers - Confidence: Ultimate Self Confidence: Discover How To Increase Your Self Confidence And Reach Your True Potential by Ace McCloud, 9781386379881. Buy this book online. Whether you want to (1) live comfortably without regrets, (2) converse with others confidently, or (3) just start living life to your true potential, this is the book for you. Is fear of the unknown paralyzing you from action? If so, you’re not alone. But you can begin today to lay the foundation. for a confident life! You can start right now to strengthen the six areas of your life that are essential for an inner sense of calm confidence. Sharpen your confidence with powerful mental strategies. Discover how to easily increase your influence with others. Learn how to view the glass, not as half-empty or half-full, but as refillable. Discover your personal strengths and how to utilize them to your advantage. What I’m offering you in this book is the results of my own experience, the best of what has worked for me and what seems to work the best for most people. What Will You Learn About Confidence? How to discover and amplify your own voice . How confidence can increase your resilience under pressure. How friends can contribute to your confidence. The importance of living in sync with your values, desires, and goals. How confidence can increase the effectiveness of your communication. How to increase your motivation and willingness to take action.